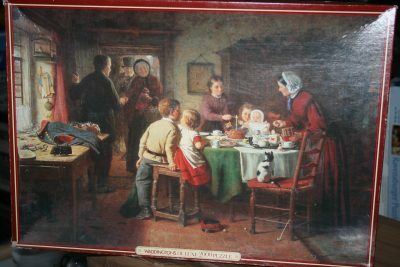 Heye manufactured this puzzle in 2008. The title is Wolf, by Victoria Francés. It has been out of catalog for 10 years now and it is very difficult to find. The puzzle is NEW, with its original FACTORY SEAL. These gothic paintings by Victoria Francés are becoming very popular lately. Heye and Educa have published many puzzles with her works. 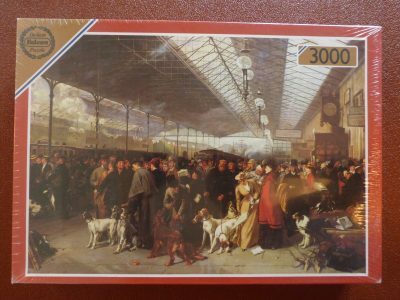 An example is the 1500 pieces version of Fallen Leaves. 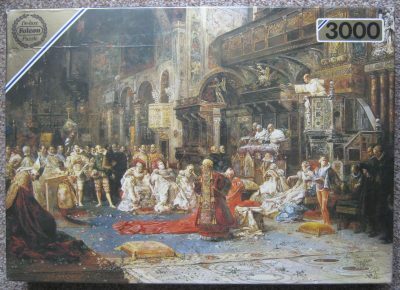 Puzzle size: 96 x 68 cm, 37 13/16 x 26 3/4 in. Box size: 37 x 27 x 8.8 cm. If you want to find current puzzles, visit Tu Puzzle. You can add to your order any puzzle that you find there.